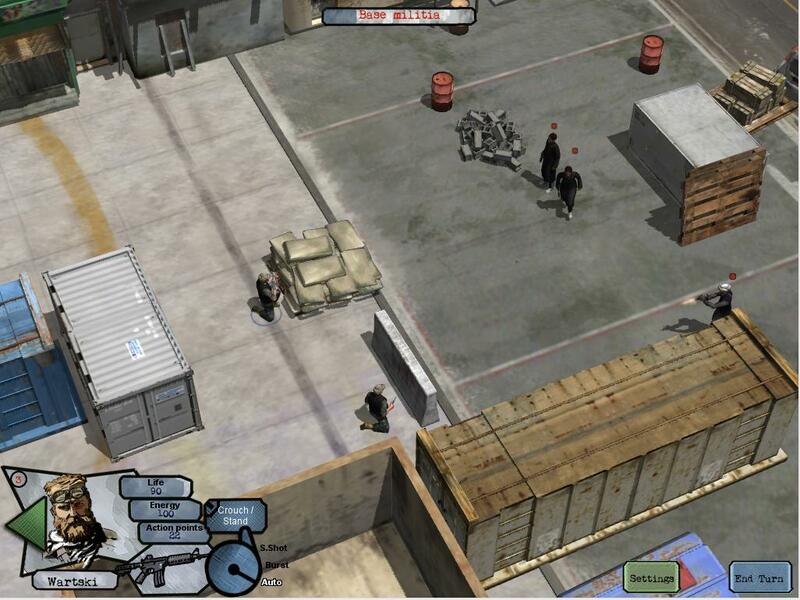 This post is an introductio to our new game Warlord, is a squad-based strategy game inspired by the likes of Jagged Alliance and Silent Storm. The game is set in a lawless tribal country. In the beginning you are armed with only a pistol and a small 6-seater aircraft. There are a series of villages reachable by air and road. Many of the villages are occupied by various militant clans. The region is extremely violent. 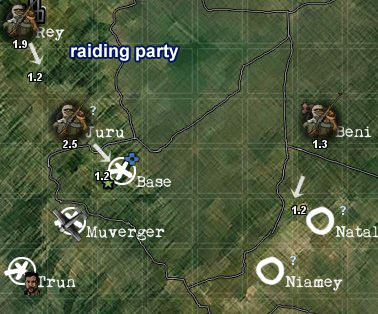 Each of the village clans are fighting against each other for dominance and they regularly send out raiding parties to attack neighbourhood villages. You must explore the countryside by air. Some of the villages have merchants where you can buy and sell weapons and armour and where you can hire mercenaries. You can also buy and sell narcotics to gain funds to build up your private army. 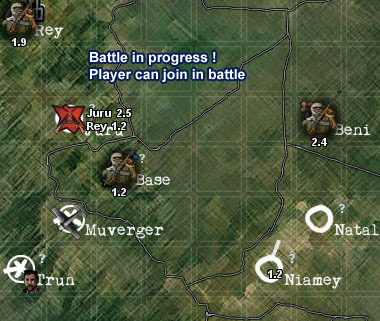 Unlike other squad based games, battles can start in a variety of different ways. The most straightforward way is by landing on a village with hostile militia. However, you can also join in on a battle that already is in progress (when two, or more clans are fighting each other) and in this case you will join one of the sides. The side that you join become your allies (the enemy of your enemy is your friend) and that can give you some benefits in the game. For instance, you can then pass through your ally’s home village without having to fight a battle. Also, if you help an ally soldier in battle he may join your army. This is one of the ways of gaining recuits, which are quite hard to come across otherwise. In a battle there can be any number of militia groups fighting each other and third parties can join the fray at any time. This game is about half finished. We have done a lot of work, but there remains a huge amount to do. The initial version is planned to first be released for the iPad.